Burn Fat + Build Muscle! This is a highly intensive program meant for those looking for an advanced physical workout. This is a one-hour all-out total body conditioning class. 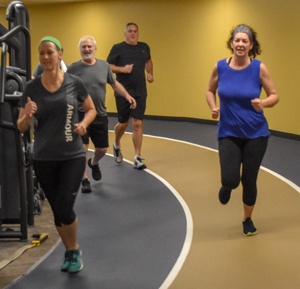 There will be running, interval training, and many other exercises using free weights, and your own body weight, to lose body fat, increase cardiovascular efficiency, increase strength, and help people get into a routine of regular exercise. 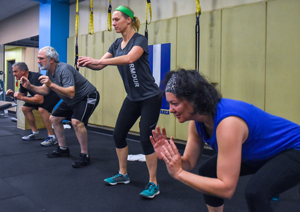 Receive expert guidance and pre/post assessments to challenge yourself beyond your current fitness level - helping you reach your fitness goals. Questions? Contact Brandi Ventre by e-mail or at (913) 327.8081.